Vivo Y91,Y93,Y95,V11 User Lock FRP Unlock Tool best tool to bypass FRP lock. It is also easy to use and unlocks Vivo android device within minutes. You have to download it to your pc and then connect your phone via USB cable. Thus it is a great and easy to use tool to bypass google account. As we all know MRT Key is one of the best mobile flashing tool. User can use this amazing tool to perform many tasks [Mobile Related]. But the main problem is that most of the latest Mi phones come with pre-locked bootloader. So it’s really hard to bypass Mi account after factory reset, if the bootloader is locked. On that condition, you have to boot the Mi account locked device into EDL mode or emergency downloading mode. EDL mode is the most important part of this Mi account bypass method. If the bootloader of the device is locked then you can’t flash MIUI fastboot ROM directly. MRT Key will show the error. So we are assuming that your Redmi 5a bootloder is locked and we will boot it into edl mode via test point. Process is here. Next power off the locked Vivo phone properly. Next, short the test point using any copper wire or pin. Check the below screenshot and short the same points only. 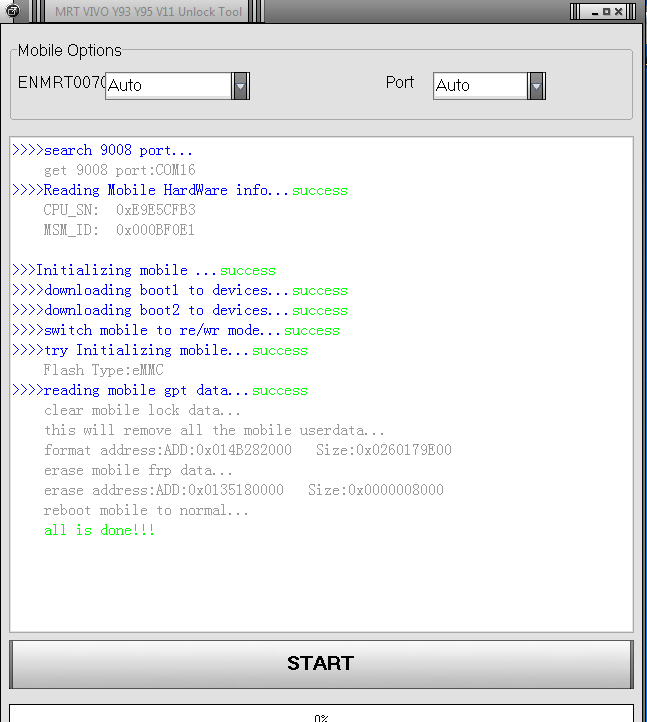 As soon as you will connect the device with pc, Qualcomm HS-USB QDLoader 9008 Port will reflect in device manger. 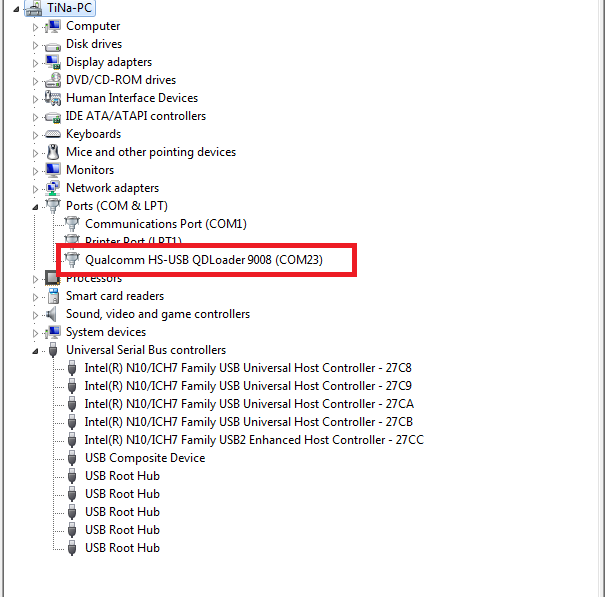 Please Note: Qualcomm HS-USB QDLoader 9008 Port must be visible under the Device Manager section. If it’s not reflecting, repeat the above process properly. Once the device booted into edl mode, use free Miracle 2.58 flash tool to remove Mi account verification. Extract the downloaded Vivo Unlock Tool and run as administrator. Click on “Start Button” option from below.